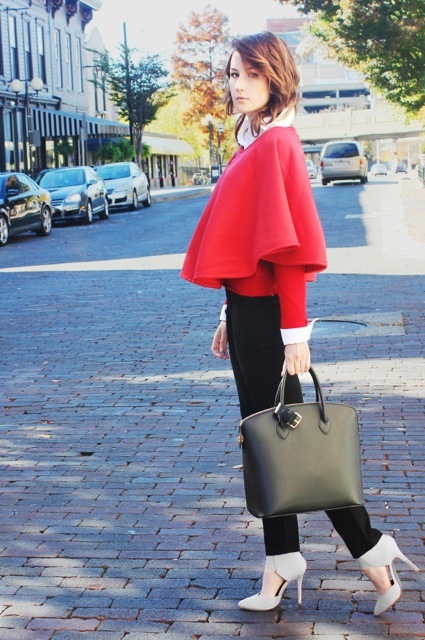 I love the cape, and the red is a great pop of color! I will be adding a few new pieces in jewel tones to update my wardrobe. The red cape is STUNNING, I stopped immediately to try to locate the cape on your web site. Now I am disappointed to read that it was hand made. I wish you could find matching little capes like this to sell in a few of the colors you offer.